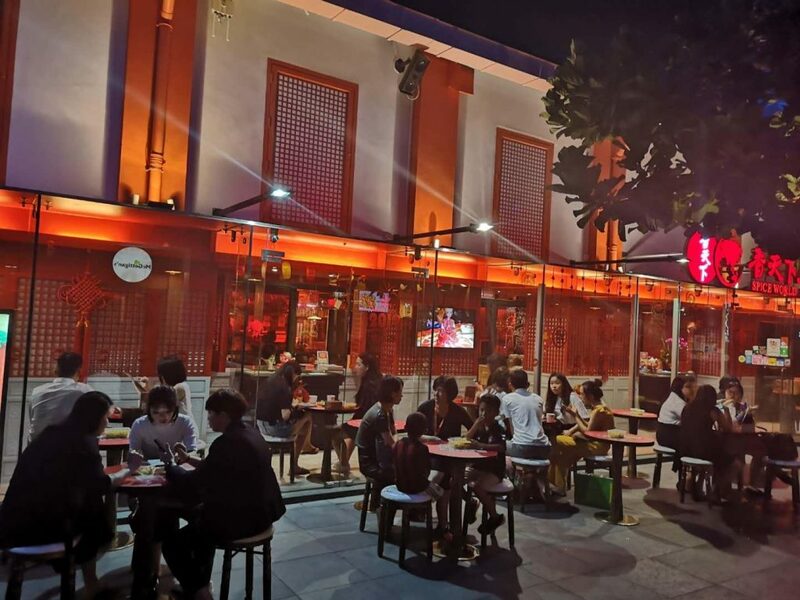 Spice World Hot Pot, known for its playful food presentations, fresh and premium ingredients, robust soup broths and great service, is celebrating its first anniversary with eight new wow-inducing dishes. Leading the list are three new beef dishes. Bullish Day ($36.90 ), a combination platter of different cuts of sliced beef, tripe and tongue, is every meat lover’s dream come true. Traditional handmade beef balls ($15.90) made fresh every day also make an entry in the already tantalising menu. Get your phone cameras ready for another stellar new beef item – Tender Milk Beef ($15.90) made with sirloin slices marinated in milk and playfully presented on a plate embellished with a guardian Minotaur, complete with dry ice blowing out of its nostrils. 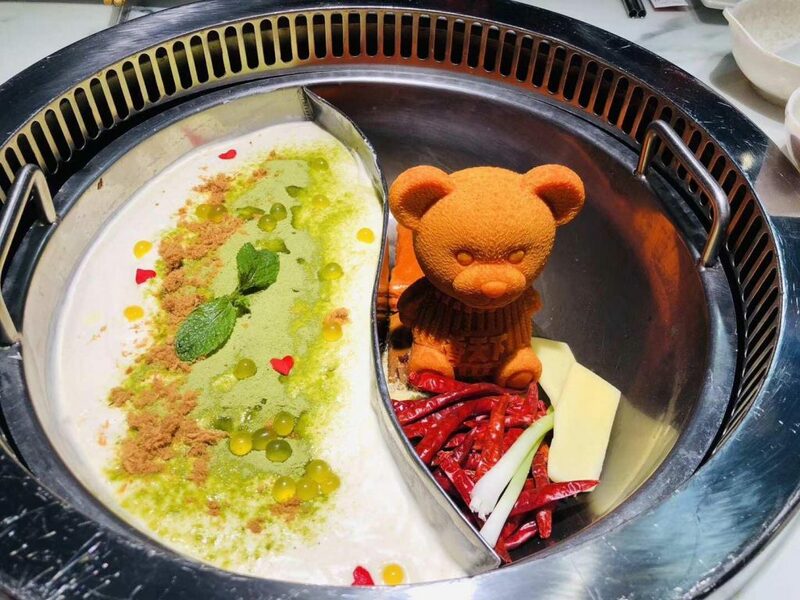 Spice World Hot Pot prides itself in making its food presentation stand out. The Mermaid ($18.90) the scion of the extremely popular Premium Barbie Beef Wagyu – is an entertaining presentation of Red Tilapia slices delicately arranged around a doll to form the shape of a mermaid. 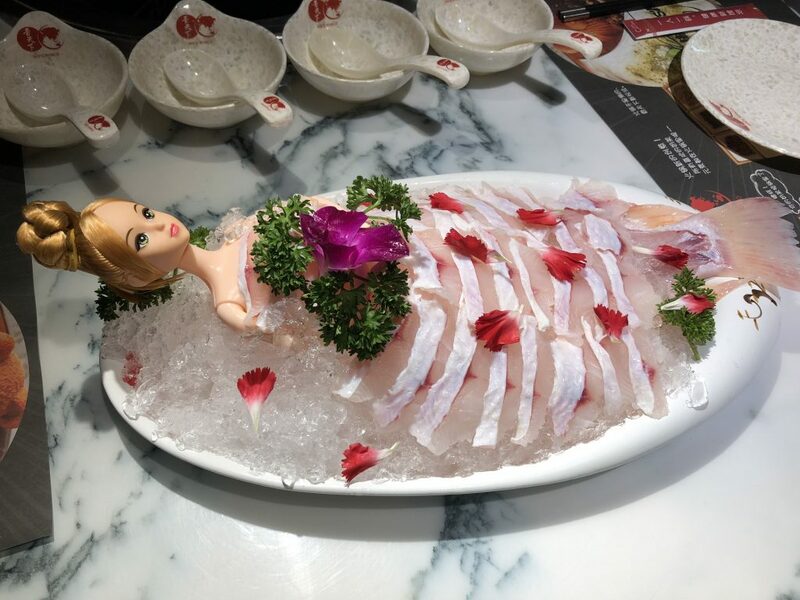 It allows diners to “undress” the doll before swishing the fish slices in the hotpot. A cute, break-the-ice moment takes place every time this dish is served. Impress your guests with sustainably sourced US scallops ($19.90) marinated in 16 herbs and spices or Australian hairy abalone ($12.90 per piece); both exquisite pairings with hot pot. A bacon enoki wrap has also been added to the menu and is sure to become a perennial favourite. Spice World Hot Pot will also make the Milk Tea hot pot a permanent addition to the menu. Introduced two months ago as a trial, this dessert creation soon became a hit with regulars. 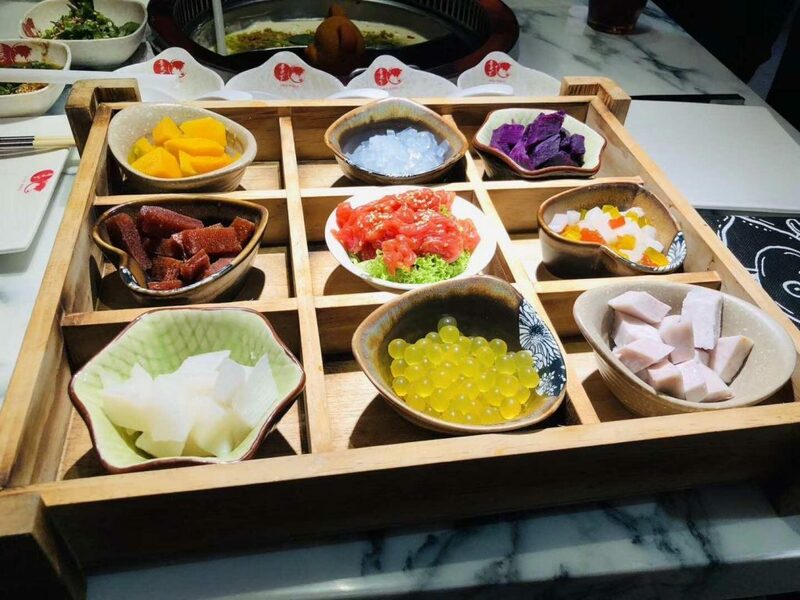 The bubbly, chocolatey, choice of Assam or Matcha milk tea hotpot is enjoyed with sweet and savoury toppings such as taro, purple sweet potatoes, pumpkin, yam, coconut and fruit jellies, mala bakwa and tender milk beef. Served with straws and slurped for a fun group experience, the Ying-Yang mala and Bubble Milk Tea hot pot combination goes for $39.90. 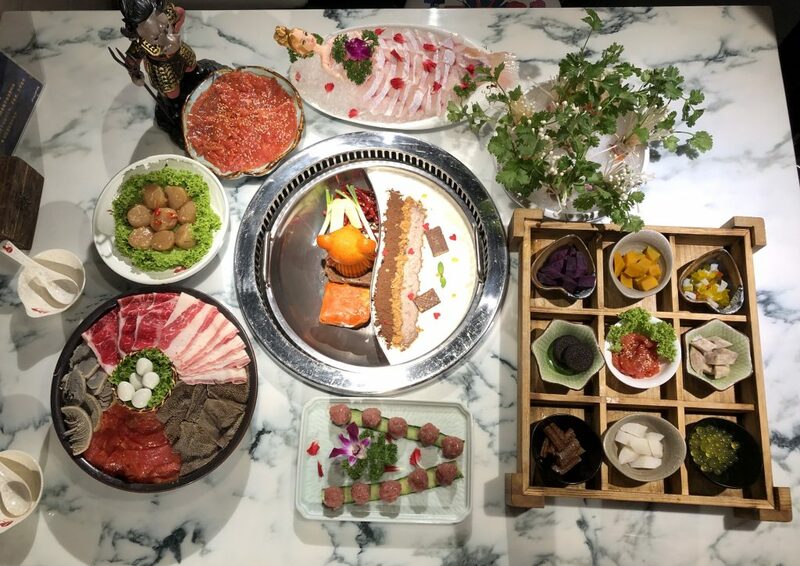 A great way for friends and family to socialise, Spice World Hot Pot welcomes diners to try its new anniversary items in a 200-seater restaurant serving traditional and modern hot pot. 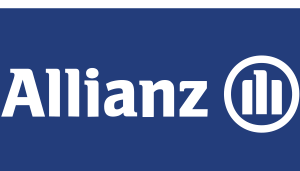 All That You Can Eat Rebated to You For Subsequent Visits – Order as many food items as you can eat and the total amount spent will be rebated to you in the form of a gold VIP membership stored-value card. 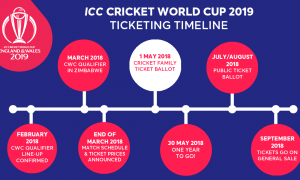 The amount rebated can be utilised during subsequent visits (no time limit on when you have to used up the amount in your stored value VIP card). This promotion excludes beverages, alcohol and soup-based and does not apply to take-away orders. 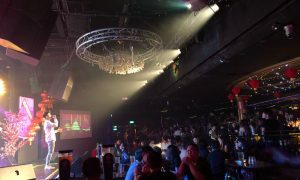 Hot Pot’s social media accounts – Facebook Spice World Hot Pot and Instagram @spiceworldsg.